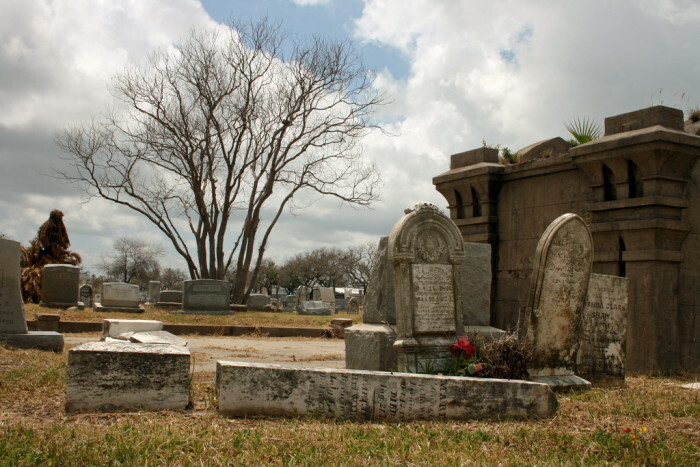 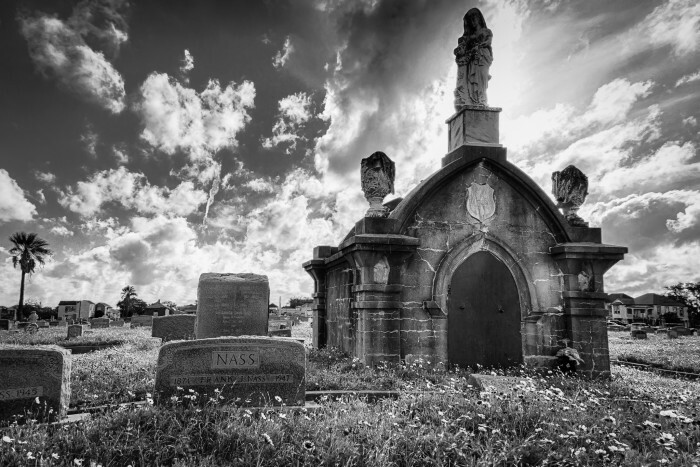 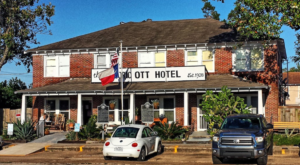 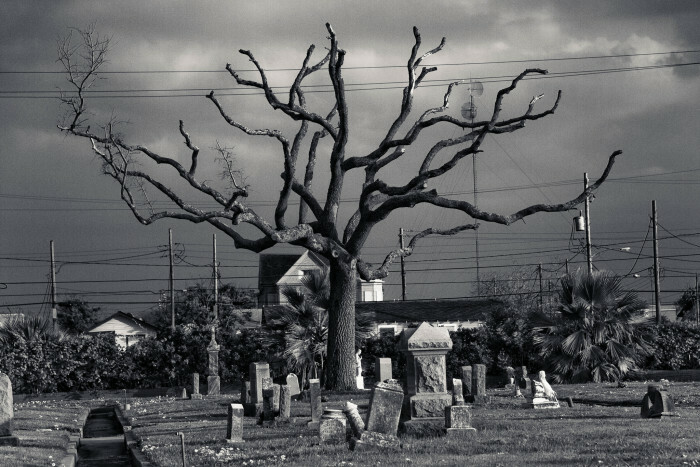 You may have heard about all the haunted hotels in Texas, but did you know we have a very historic, creepy cemetery right in Galveston known for chilling and disturbing legends? 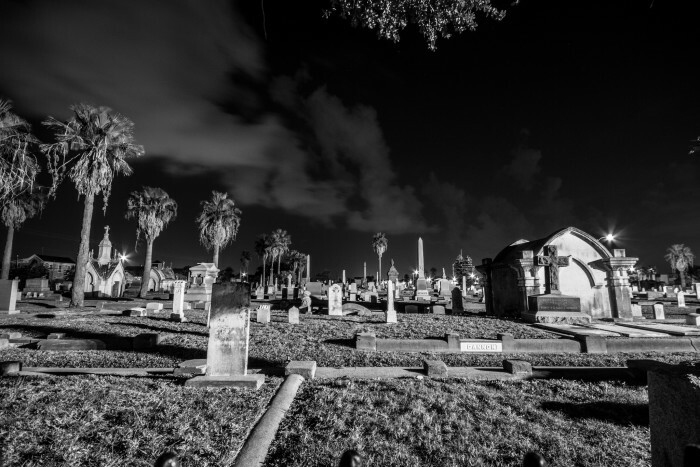 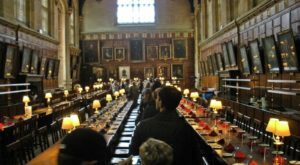 Some people have even claimed to have spotted ghosts and orbs on their cameras at this cemetery, and tours are given regularly due to the overwhelming reports of paranormal activity. 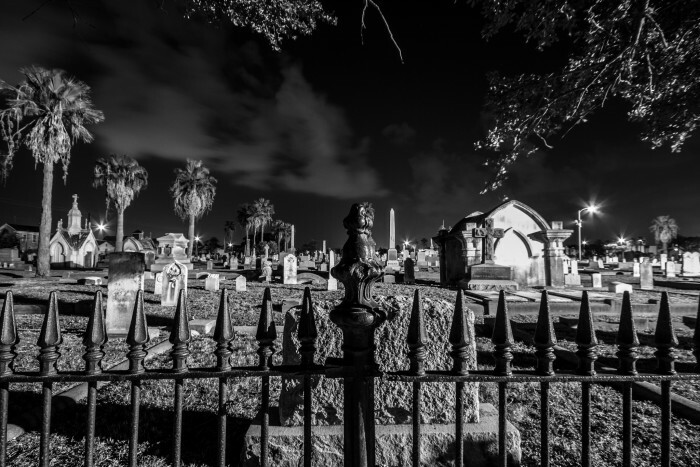 So if you have a hankering for a good ghost hunt, you will definitely want to check out this cemetery. 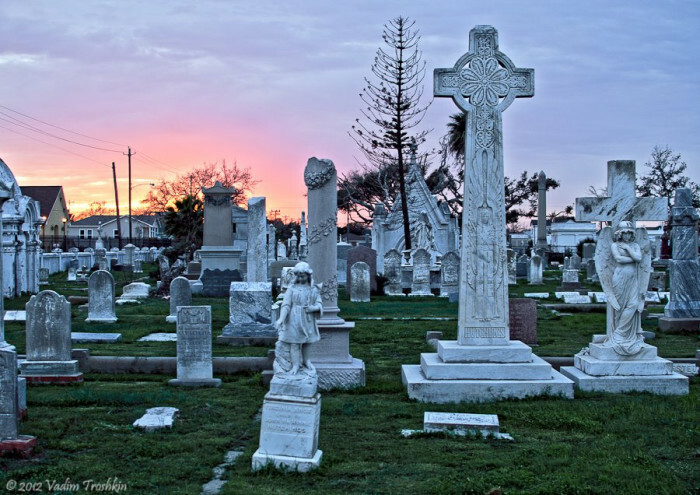 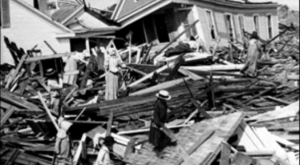 The following photos are from one of the oldest and most historic cemeteries in Galveston, the Old City Cemetery on Broadway, where many former residents who died in the Great Hurricane of 1900 are buried. 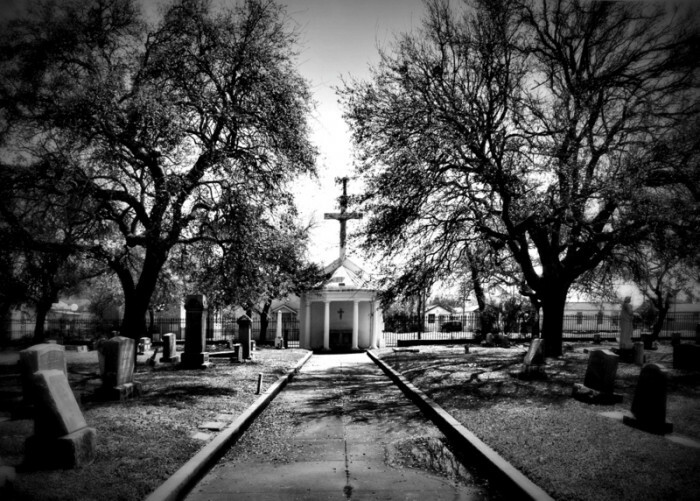 Many strange sightings and noises have been reported here, probably because of all the unsettled souls who now rest at this cemetery. 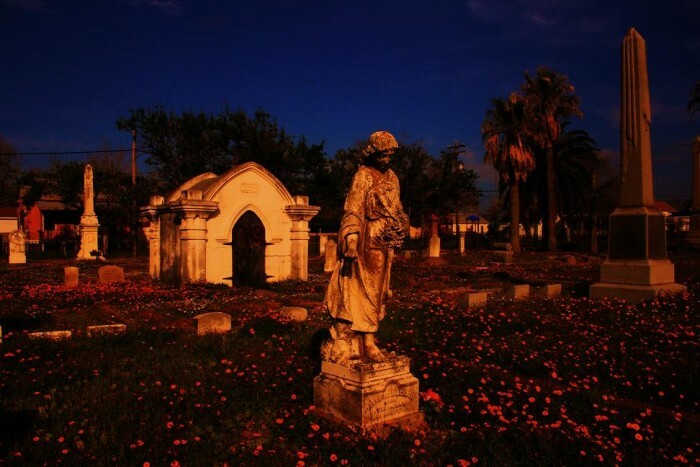 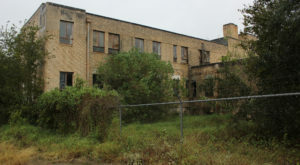 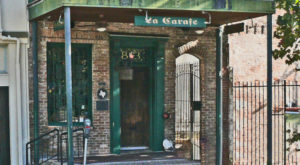 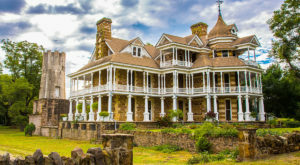 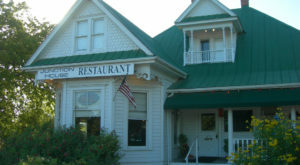 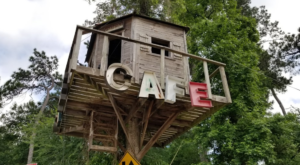 If you want to check out more haunted places in Texas, go check out the list I made here. 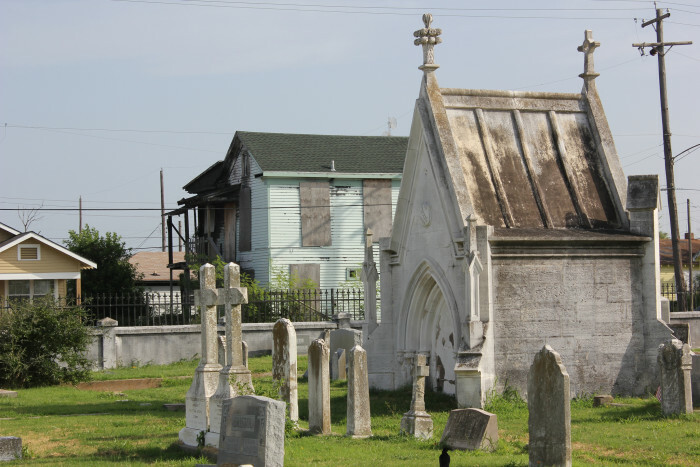 I wanted to list other cemeteries, but had a hard time finding photos of any besides the Old City Cemetery in Galveston. 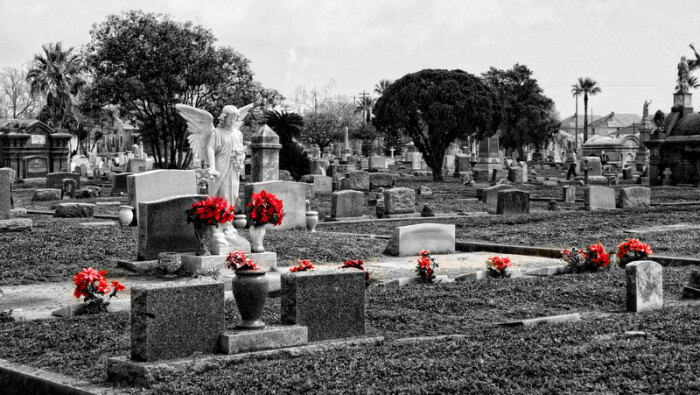 If you have photos to share of other cemeteries, or want to tell us about any ghostly encounters you’ve had at a graveyard, please feel free to add your thoughts to the comments below!